Hannah Vaitsblit, a Barnard freshman, has been doing cataloging work with the rare printed Judaica collection for the past few months. Only about 1/3 of our rare printed Judaica are accessible in CLIO, but now, thanks largely to Hannah’s painstaking work, many more books have been (and continue to be) added to our online catalog. The post below is from one of Hannah’s recent discoveries. Cross-posted on the Curators’ Choice Blog. 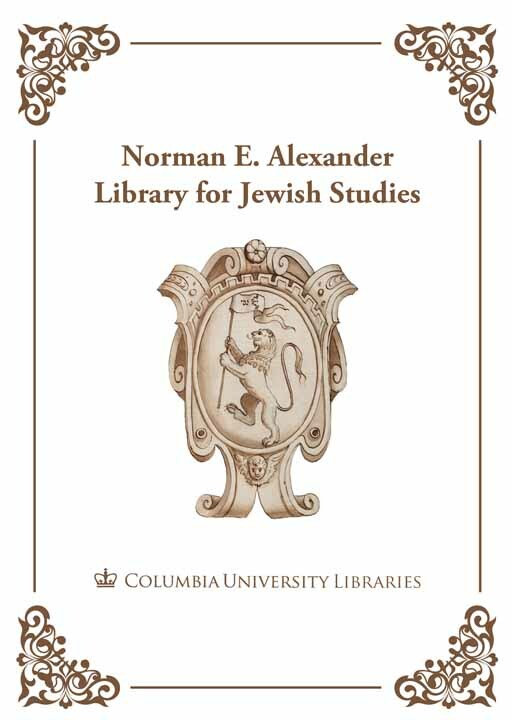 While working on the project of cataloging the Hebrew language/Judaica books in the Rare Book & Manuscript Library, I have been particularly paying close attention to evidence and clues pointing to collections and deciphering owners’ marks, signatures, stamps, and bookplates to trace through collections and track the movement of Jewish books. 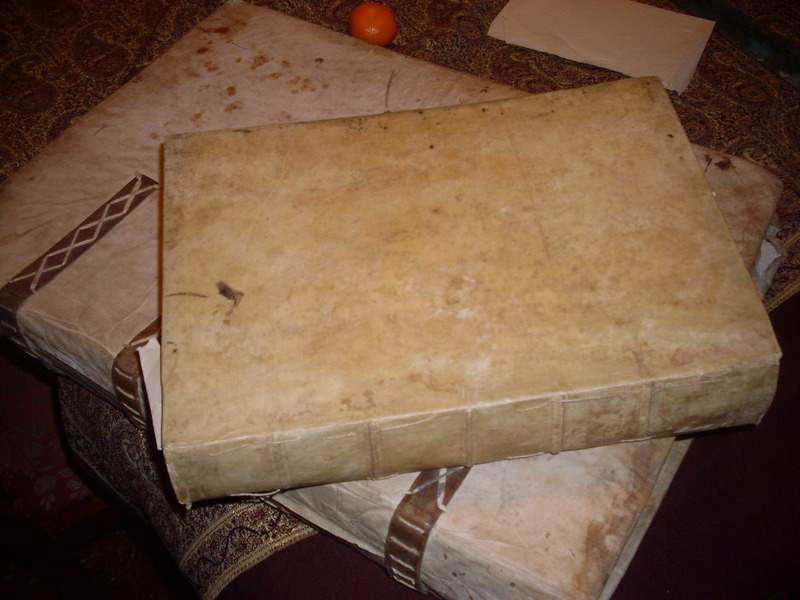 Most of the books in the RBML that I have found are clearly traceable to the Temple Emanuel donation, which came from the Joseph Almanzi collection sold by Frederick Müller, but I have found items from some other smaller–perhaps earlier–collections using other surviving ownership indicators. According to this flickr post (ed. note: part of a wonderful project produced by Mitch Frass, described here), this is the bookstamp of the library of the Counts of Einsiedel at Reibersdorf (Shlossbibliothek der Grafen von Einsiedel auf Reibersdorf), and was found among other bookstamps of libraries looted during World War II through the Jewish Cultural Reconstruction Project. There is an entry for a German horse-breeder and writer Kurt Heinrich Ernst Graf von Einsiedel (1811-1887) and another entry for Heinrich Graf von Einsiedel (1921-2007), son of Herbert von Einsiedel (1885-1945) and Irene von Bismarck-Schönhausen (1888-1982) and great-grandson of Otto von Bismarck, and a famous German journalist and anti-fascist politician, who may have been owners of this collection. This entry was posted in Uncategorized on April 24, 2014 by Michelle. I’m really glad you found the project helpful. And thanks so much too for the reference to the 1928 catalog!